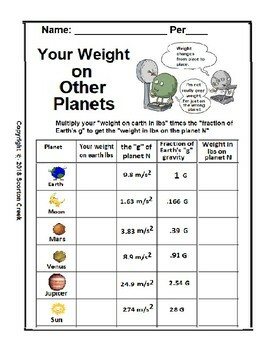 Here is a fun worksheet for students to determine how much they would weight on a variety of planets. There is also cartoon. 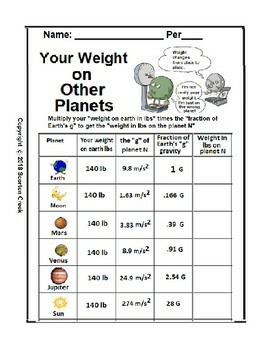 It says "I'm not overweight, I'm just on the wrong planet." I hope its helpful. 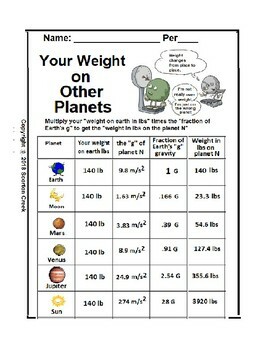 I have include a blank worksheet, an answer sheet, and a 3rd one with 140 lbs to be used like a quiz.